Do you love picture books? Join us in our children’s section with special guest author James Weinberg! 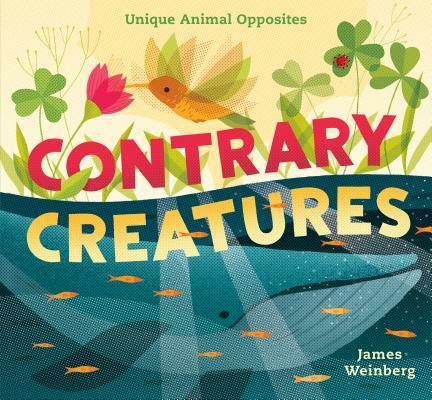 James will read his latest picture book, Contrary Creatures: Unique Animal Opposites. This vibrantly illustrated nonfiction picture book goes beyond expected animal opposite pairings by comparing and contrasting behaviors like migration habits (or lack thereof) and sleeping schedules.Featuring snow monkeys, sea dragons, peacocks, and more, this is an eye-catching and thought-provoking concept book. It will appeal to nature-loving readers, making them think about opposites in new ways. James Weinberg is an illustrator and designer creating everything from murals to silkscreened posters to this, his debut picture book. He fills some of his spare time by riding his bike around Somerville, MA, where he lives.